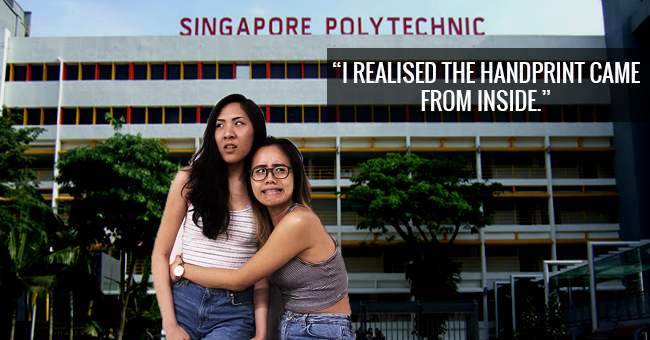 Singaporean women are said to have one of the most diverse sense of fashion. 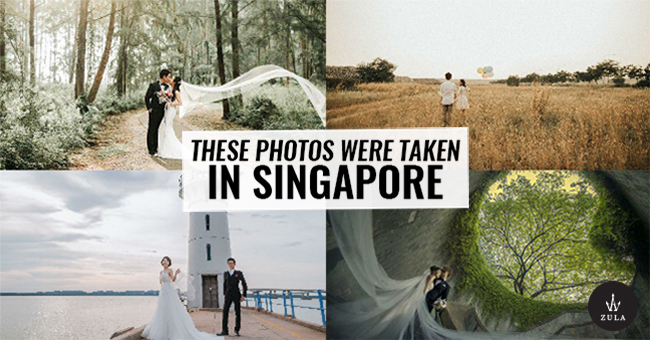 They wear clothes that range from runway skirts and dresses to Malay kebayas and Indian kurtas. Regardless of what fashion style or trend they follow, everyone’s #OOTD is always on FLEEK. Among these women are the many hijabis* who artfully twist and turn their hijabs to make them look picture perfect. The non-hijabis may envy the hijabis for never having to go through a bad hair day, but the true struggles are only known to each hijabi. Every hair-wash session is a gamble for a hijabi. They either wash their hair at night and go to sleep with semi-wet hair or wake up earlier and wash it in the morning. And we all know how well that goes. Personally, I get too tired to wash it at night and I barely wake up on time every morning, much less early. So the end result? Damp hair under my hijab and extreme discomfort throughout the day…or I might just skip that day and wash my hair “later”. It may seem like wearing a hijab means no more ‘Bad Hair Days’ but you couldn’t be more wrong. Wearing a hijab means that I can get away with a simple ponytail, but I have to set aside 15 minutes everyday to fix my hijab. And that’s only on my ‘Good Hijab Days’. On ‘Bad Hijab Days’, I can take twice as long, tossing around gazillion different hijabs to find the perfect one, only to find myself wearing the very first hijab I tried on. Now, my experienced family knows to give me an ample head-start (or should I say, hijab-start) to get ready for family outings. Some hijabs are held together by beautiful ornaments, while others seem to be supported by sheer force under flawless veils which look easy to accomplish. Truth is, hijabs are held together by hijab pins. Loads and loads of hijab pins. And we all know what happens when there are that many sharp and pointy objects lying around. 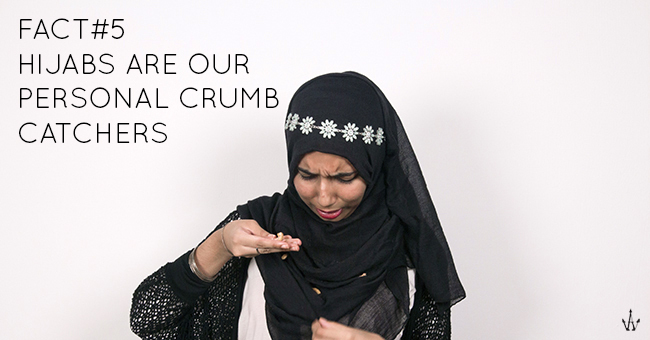 FACT: An average hijabi gets pricked by her pins at least 15 times every day. At least if she gets to sleep like Aurora till Prince Philip kisses her, it won’t be that bad. So yes, to achieve that look, hijabis shed blood, sweat and tears literally everyday. 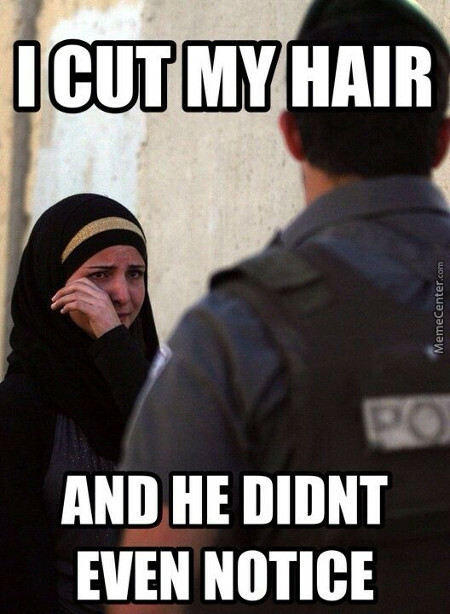 Every couple of months, Hijabis face this dilemma; should we or should we not go for a haircut? The thing is, Hijabis can’t expose their hair to any male except their immediate family members. Hence, it’s not possible to simply walk into any ol’ hair salon (where there are many male hairstylists) and ask for that trendy lob. b) cut your own hair. Over the years I’ve experienced both scenarios, with some being more disastrous than others. Nonetheless, something I’ve learnt is that no one really cares. They can’t see it anyway. Let’s face it. 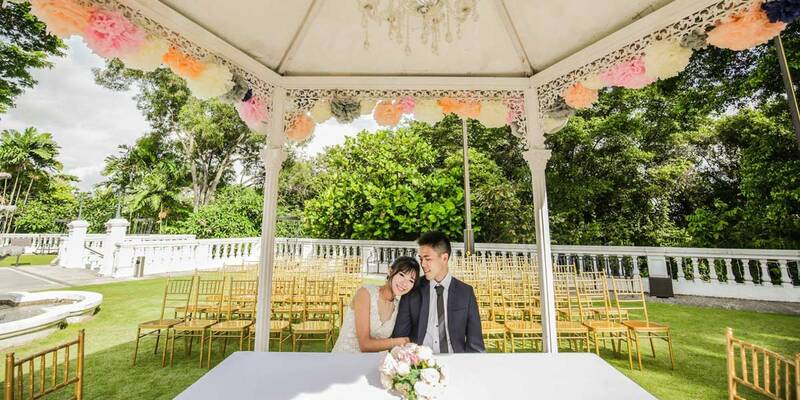 Singapore’s four seasons consist of: hot, hotter, hottest and hot-with-occasional-cool-wind/rain-but-still-very-humid. 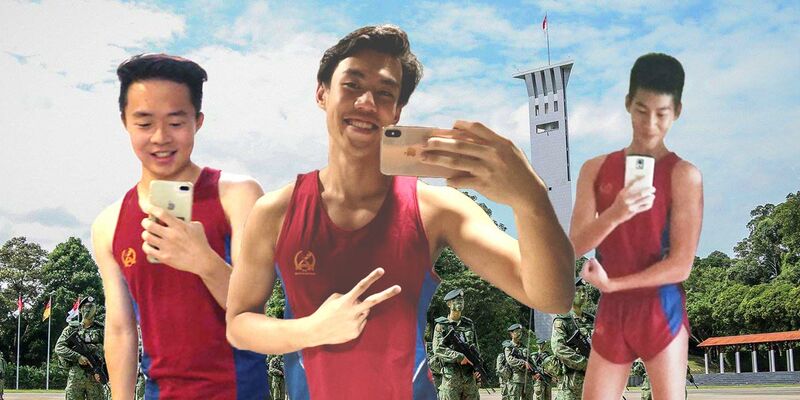 This is probably why most Singaporean girls opt for shorts and tanktops. But this isn’t the case for us hijabis. Even though we are “blessed” with endless days of sunshine, hijabis have to cover all parts of our body except for our faces, hands and feet. As such, the struggle of a hijabi is deeply profound. Not only do we have to deal with tenfold the amount of discomfort, we also have to maintain a full face of makeup! #NotCool. You’re out with your friends for lunch at McDonald’s and a handsome guy walks past your table. Your mouth gapes open and you dramatically lose your grip over the piece of fry being guided to your mouth. Instead, the fry falls down and mysteriously “disappears”. Where did it go? Would it ever be found? Don’t worry, because that fry would be safely snuggled within the depths of your hijab, waiting to be found when you least expect it. Sure, the accumulated food will be stale and your hijab might be decorated with suspicious stains by the end of the day, but hey! the surprise snack can always be saved for tomorrow. I’m pretty sure we’re all familiar with those ratchet LOL/LMAO/ROFL moments with our friends where we simply cannot stop laughing like a hyena. For non-hijabis, it’s fairly easy to recover from such sudden outbursts by rearranging their hair or straightening out their shirts. 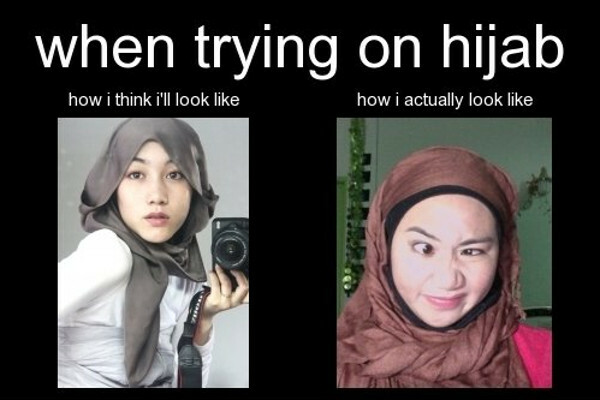 But it’s not so simple for the Hijabis because we also have a tendency to LMHO. 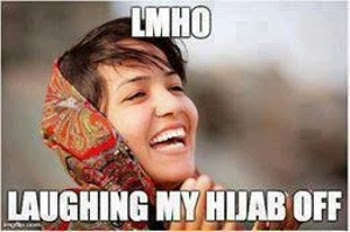 LMHO: acronym for Laughing My Hijab Off. Happens when hijabis laugh too much, as illustrated below. I don’t know if it’s because I’ve damaged my eardrums or the millions of hijab layers act as a barrier. But ever since I started wearing the hijab, my sense of hearing has become less sensitive. 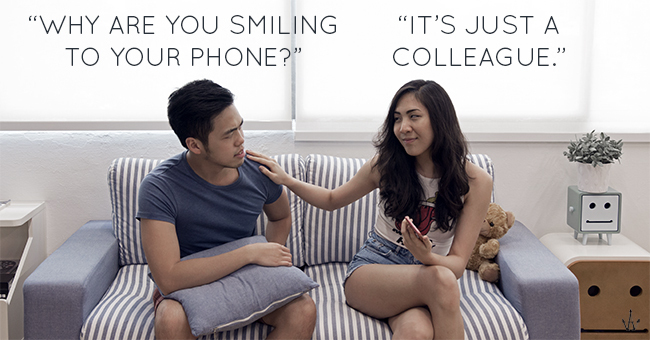 So whenever I can’t hear the other person, I’ll blindly nod my head with a vacant smile. Because you can always pull out the #sorrycanthearyouovermyhijab card. Here’s a shoutout to all hijabi warriors who go through so much and still manage uphold their fashion sense with poise and sophistication. And for the rest of us, the next time you see a hijabi strutting down the street, you’ll know how to truly appreciate her beauty. You can bring these “struggles” up as an icebreaker and who knows, she might even offer you a fry from her hijab!